What is the diagnosis of Collagenous Colitis and Lynphocytic Colitis? Some scientists think that collagenous colitis and lymphocytic colitis are the same disease in different stages. 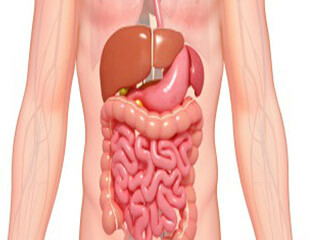 The only way to determine which form of colitis a person has is by performing a biopsy. A diagnosis of collagenous colitis or lymphocytic colitis is made after tissue samples taken during a colonoscopy or flexible sigmoidoscopy are examined with a microscope. Collagenous colitis is characterized by a larger-than-normal band of protein called collagen inside the lining of the colon. The thickness of the band varies; so several tissue samples from different areas of the colon may need to be examined. With lymphocytic colitis, tissue samples show an increase of white blood cells, known as lymphocytes, between the cells that line the colon. The collagen is not affected. Read more articles on Collagenous Colitis and Lymphocytic Colitis. What are Collagenous Colitis and Lynphocytic Colitis? How Common are Collagenous Colitis and Lynphocytic Colitis? What is the treatment for Collagenous Colitis and Lynphocytic Colitis? What are the causes of Collagenous Colitis and Lynphocytic Colitis? What are the symptoms of Collagenous Colitis and Lynphocytic Colitis?